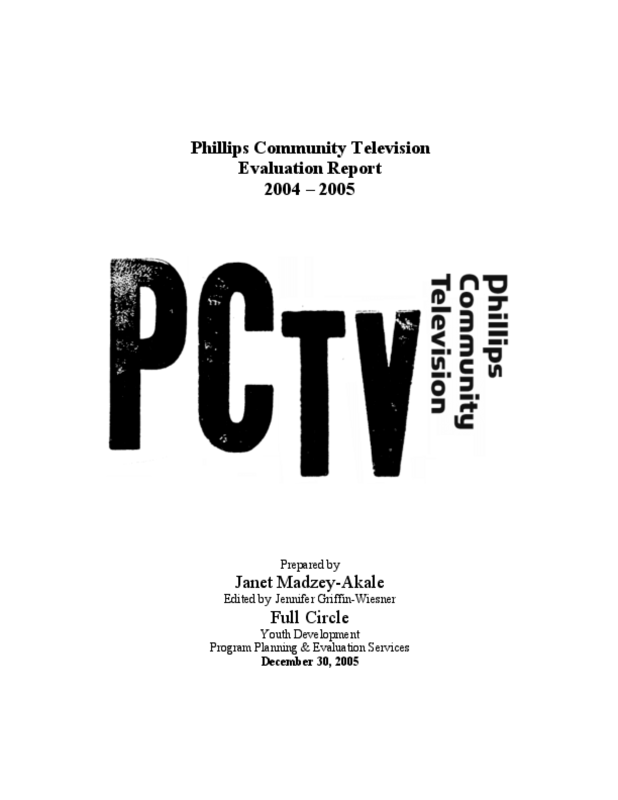 In spring 2004, PCTV embarked upon an ambitious evaluation project aimed at exploring the meaning of youths' engagement in the media arts program. Fifteen youth and eight adults were interviewed in small groups and individually during the September 2004 - June 2005 program year. It became evident during this process that the program successfully teaches media while creatively emphasizing positive youth development that ultimately impacts participants in numerous ways.